Dr. Cyril Meyerowitz is Director for the Northeast Region of the National Dental Practice-Based Research Network (PBRN) at the University of Rochester Medical Center. He received his dental degree from the University of Witwatersrand, South Africa in 1973 and completed a 2-year Postdoctoral General Dentistry Program and an MS in Oral Biology in 1979 at the University of Rochester. He is a Fellow of the Academy of General Dentistry and a Fellow of the American College of Dentists. He has served as a Commissioner on the Commission on Dental Accreditation (CODA) of the American Dental Association (ADA) and Chair of the Commission's Postdoctoral General Dentistry Review Committee. He served on the ADA Council for Education and Licensure for 4 years, chairing the council for a year. He has chaired numerous ad hoc task forces for the ADA. He was a member of the American Dental Education Association's Commission for Change and Innovation in Dental Education and chaired the Section on Postdoctoral General Dentistry. He is currently chair of the New York State Academic Centers. His clinical and research interests have focused on cariology, salivary dysfunction, hospital dentistry, treatment of medically compromised patients and dental education. He has published and lectured extensively in these areas. Dr. Cyril Meyerowitz is the Director for the Northeast Region of the National Dental Practice-Based Research Network (PBRN). He received his dental degree from the University of Witwatersrand School of Dentistry (South Africa) in 1973, and an MS degree in Dental Research from the University of Rochester in 1979. He completed a residency in general dentistry at Eastman Dental Center/The Genesee Hospital/Strong Memorial Hospital and was a Clinical and Research Fellow at Eastman Dental Center/University of Rochester. 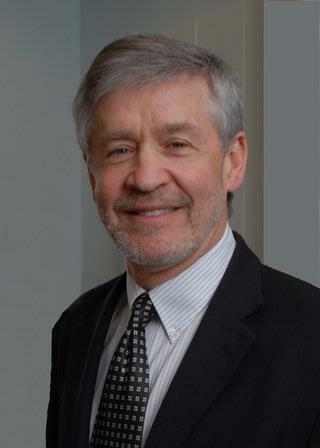 He has been chair of the department of dentistry for over 20 years and was instrumental in the merger of Eastman Dental Center with the University of Rochester in 1998. In 1999 he became director of Eastman. He led the institution through the merger and the establishment of the Eastman Institute for Oral Health in 2009. Throughout his career he has been involved in dental education and research, serving nationally on the Commission on Dental Accreditation, the Commission for Change and Innovation of the American Dental Education Association and as chair of the Council of Dental Education and Licensure of the American Dental Association. He is currently chair of the New York State Academic Dental Centers, a collaboration of New York's five (5) academic dental institutions. Dr Meyerowitz' research has been translational in nature focusing on salivary dysfunction and its relationship to dental caries and the relationship of systemic diseases to oral health. He has also had an interest in educational research and in training clinical researchers. He has received NIH and commercial funding for his work, and has been the principal investigator on NIH clinical research training grant awards. He has published extensively in peer reviewed journals and contributed numerous chapters to text books. Dr. Meyerowitz has presented to health care, educational and governmental bodies at the local, state, national and international level, and has been honored by internationally recognized professional and academic organizations. He leads an institution that has consistently maintained a ranking in the top 10 NIDCR funded dental institutions for decades; it is currently ranked 3rd. His leadership and vision in the merger of Eastman Dental Center and the establishment the Eastman Institute for Oral Health has been exemplary. This institution, dedicated to the integration of research education and community service, has positioned dentistry at the University of Rochester for the future and is a model for other institutions. His interest and passion for mentoring young dental academics has produced fine young investigators and educators, a lasting hallmark of his substantial contributions to the profession and to research. McCauley JL, Reyes S, Meyerowitz C, Gordan VV, Rindal DB, Gilbert GH, Leite RS, Fillingim RB, Brady KT, . "Training experiences regarding pain management, addiction, and drug diversion of dentists enrolled in the National Dental Practice-Based Research Network." Substance abuse.. 2019 Mar 4; :1-6. Epub 2019 Mar 04. Gilbert GH, Cochran DL, Fellows JL, Gordan VV, Makhija SK, Meyerowitz C, Rindal DB. "Engaging clinicians in research." The Journal of the American Dental Association.. 2018 Dec 0; 149(12):1007-1008. Minyé HM, Gilbert GH, Litaker MS, Mugia R, Meyerowitz C, Louis DR, Slootsky A, Gordan VV, McCracken MS, . "Preparation Techniques Used to Make Single-Unit Crowns: Findings from The National Dental Practice-Based Research Network." Journal of prosthodontics : official journal of the American College of Prosthodontists.. 2018 Oct 11; Epub 2018 Oct 11. Author List: Saunders, R., Meyerowitz, C.
Author List: Elad, S., Epstein, J.B., Meyerowitz, C., Peterson, D.E., Schubert, M.M.